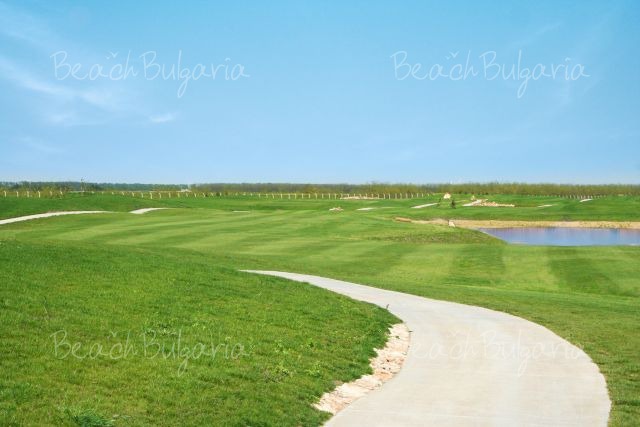 Lighthouse Golf Resort & Spa is located in Tabiyata area in the south-east of Balchik resort. 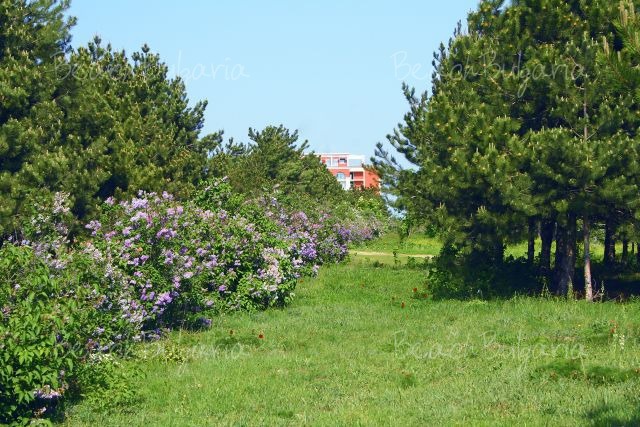 The complex is nestled on a green land on the top of the cliffs with splendid sea view. The complex includes a 5-star Lighthouse Hotel, 18-hole Signature Golf Course and Golf Academy, SPA and Wellness center (3000 sq.m), sports facilities, fitness Center, private beach, a variety of Restaurants and Bars. The hotel features 156 double rooms, superior twin rooms and studios, 12 club double rooms and 6 luxurious presidential suits. The guestrooms feature flat-screen televisions, cable TV, high-speed wireless Internet access, air conditioning, private terraces overlooking a garden or swimming pool, the sea or the golf course. 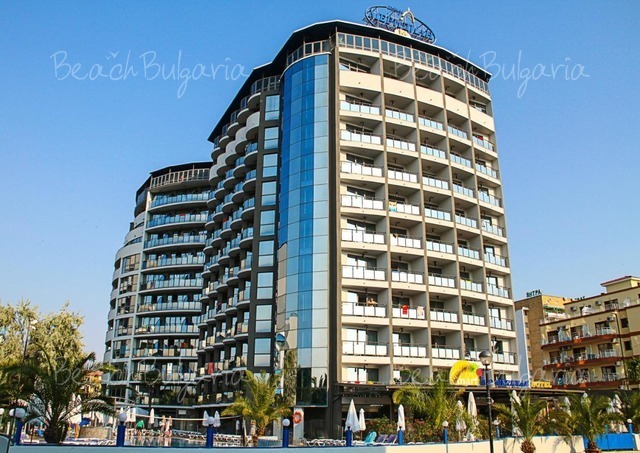 Lighthouse Hotel: The hotel with sea view is located close to the club house, the road, leading to the sandy beaches and to the 12th, 13th and 14th Green districts. 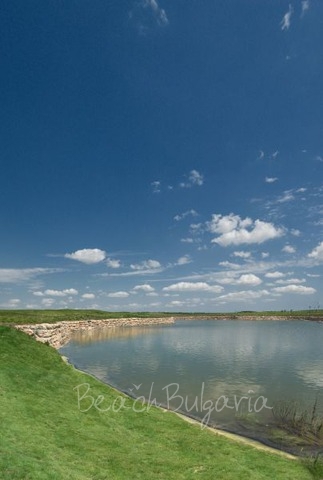 It is situated in the heart of the complex, close to the clubhouse and the course. 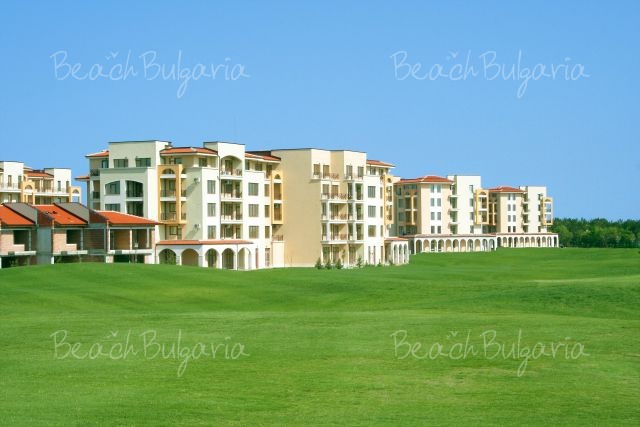 Individual villas and golf apartments with sea view are located in the district. 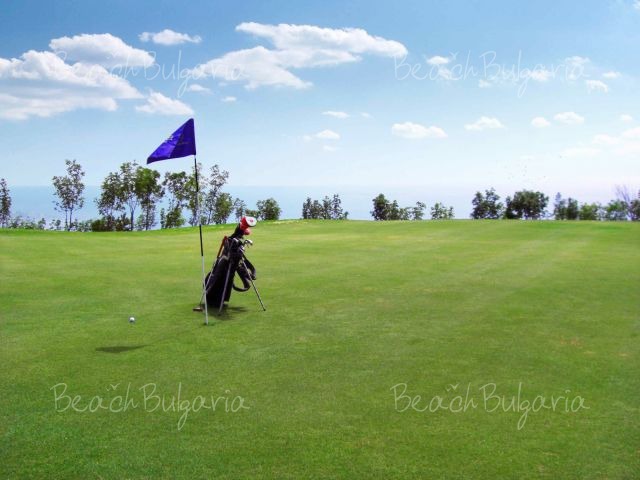 It is situated at the edge of the cliff in the south-western part of the golf course. 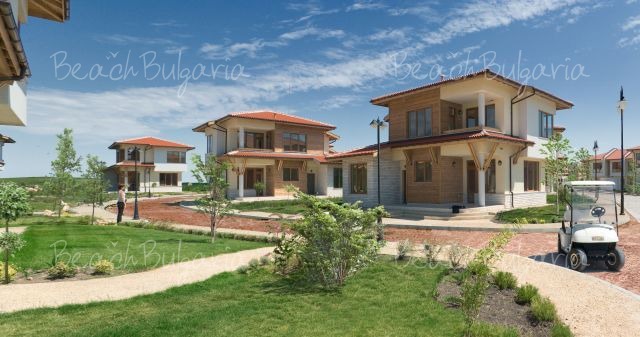 This district consists of first class family houses and villas with gardens and swimming pools. Here is situated the Lighthouse building with a restaurant, panorama café, playground, parking lot. 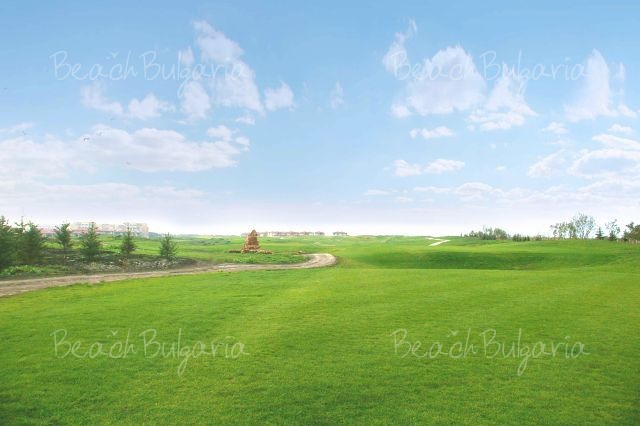 This district combines family villas and town houses, located in a small forest in the west part of the Golf Course. 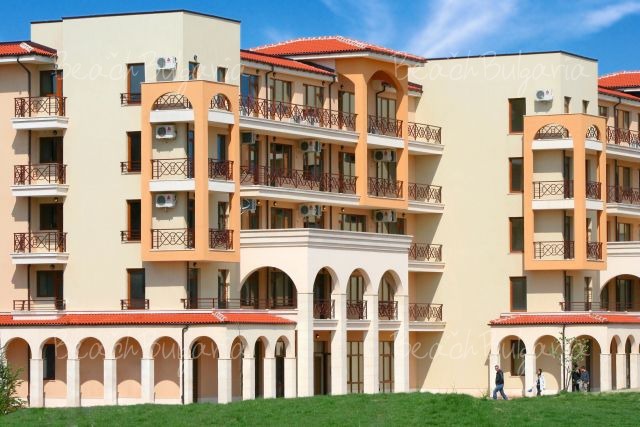 This district consists of luxury family houses and town houses and villas, overlooking the Lake and the club house and located in the eastern part of the complex. 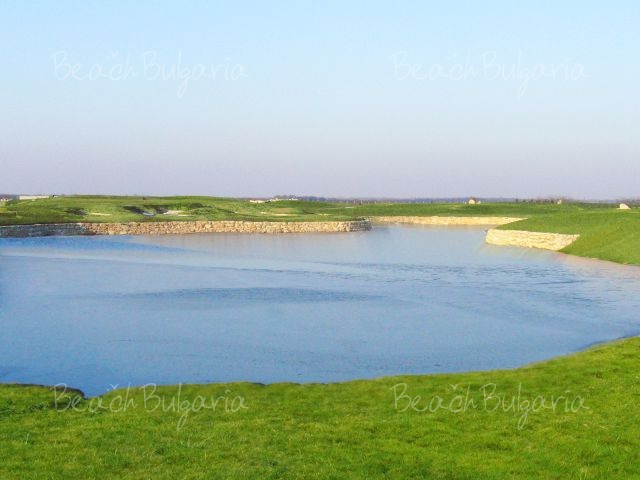 It is located at the south-east of the golf course and is divided from the sea only by a small strip of land. 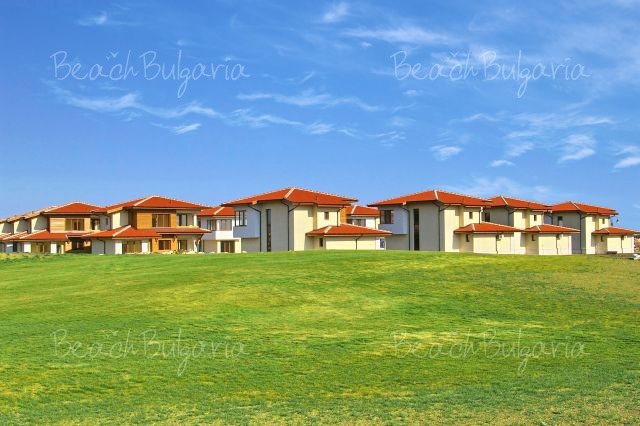 The site with different types of houses offer splendid sea views. All dining establishments are with beautiful sea or golf views and offer and extensive choice of local and international cuisine. A classical Clubhouse Restaurant Presitge with local and international cuisine, sea food, salads, pasta, grilled meat. Elegant International Main Restaurant Alexandra at the Lighthouse hotel. A la Cart Sea Food Restaurant Fouquet. The 19th Hole Bar serves breakfast, light meals, snacks and drinks. Beach Bar, located on the sandy beach. Specialized Whisky and Cigar Lounge; Lobby Bar, Pool bar with great choice of beverages, cocktails, tea/ coffee. 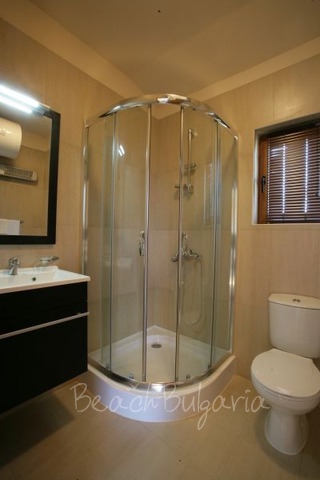 The luxury SPA centre offers indoor swimming pool, whirlpools, steam bath, sauna, Jacuzzi, fitness, massages, hydrotherapy, body wraps, body masks, treatments, manicure, pedicure, etc. The complex offers a lot of opportunities for sport and recreation. 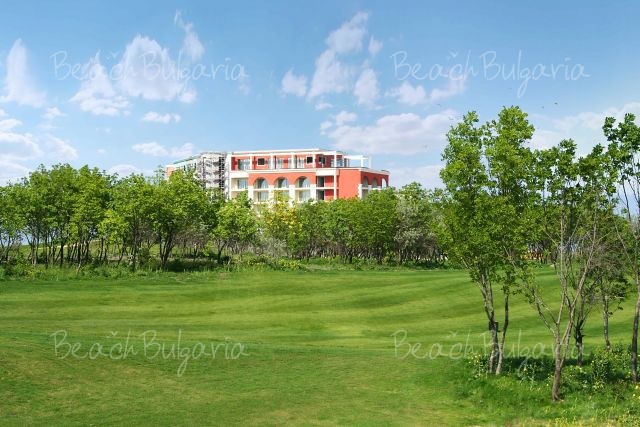 There is 18-hole World Class Golf course next to the hotel. 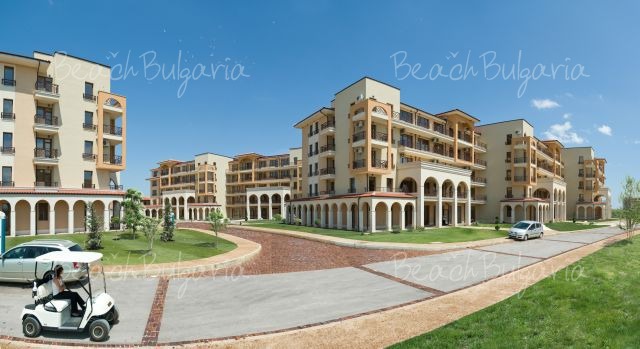 The complex features also indoor and outdoor swimming pool, Equestrian centre, horse riding, sailing, private beach, wide variety of water sports facilities. 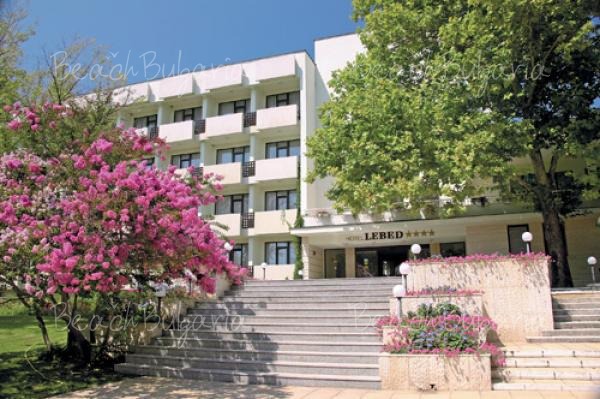 * The prices are in Euro per room per night and include breakfast, use of indoor and outdoor swimming pool, sunbed and parasol near the pool and on the beach (from 10.06 to 10.09), steam bath, turkish bath, sauna, laconium, jacuzzi, fitness, shuttle bus to the beach, Wi-Fi, parking. 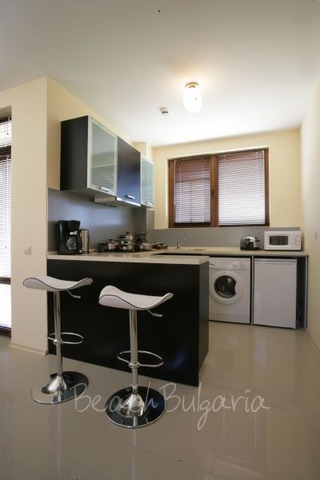 * Cancellations can be made free of charge providing details of this are received at least 10 working days prior to check-in time on the day of arrival and 14 working days during 12 July - 18 August - cancellations made after this period will incur a fee equivalent to the cost of 100% of the accommodation. Please, post a comment on Lighthouse Golf Resort.